Sometimes your busy schedule leaves you with little to no time to eat, so you end up skipping meals. Then there are the people who are trying to lose weight and think skipping meals is the answer. The truth is, skipping meals does more harm than good. Below are the reasons you shouldn’t skip breakfast, lunch or dinner. Starving yourself all day or not making time to eat three meals a day or snacks in between will leave you hungry and more likely to overindulge in the evening. When you’re hungry, you’re less likely to take the time to make a healthy meal, preferring something quick and easy. This may leave you eating packaged or fast food. Also, the hungrier you are, the more likely you are to reach for seconds or even thirds, tripling your portion. Eating heavy meals in the evening is never a good idea, as you don’t have the rest of the day to use up the energy and burn the calories. Skipping meals may actually encourage your body to gain weight instead of lose it. When you don’t eat for a long period, your body notices, and your metabolism goes into safety mode by slowing down in an effort to conserve your energy source (calories and fat from food). Skipping meals often, therefore, means your metabolism will slow down over time, so when you start eating regularly again, you may not burn your food as efficiently. Furthermore, your body will store the meals as fat because it thinks you’re in starvation mode. When you eat, your body breaks down the food, storing some of the meal as fat while the rest enters the bloodstream as sugar. 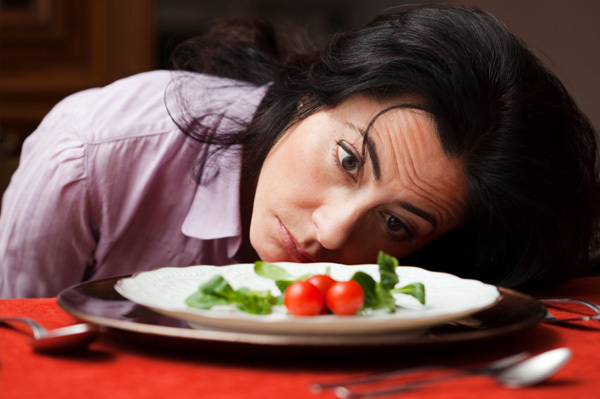 Consequently, skipping meals will cause your blood sugar level to drop, leaving you feeling tired and sluggish. Furthermore, if you consistently skip meals, you interfere with insulin levels, which may lead to diabetes later in life. How are you supposed to get the adequate amounts of complex carbohydrates, vegetables and fruits if you don’t eat enough meals? Skipping meals leaves your body craving the nutrition it needs to stay healthy and energetic. Sure, multivitamins are great supplements, but they shouldn’t replace real, natural nutrition that you get from eating healthy food.